Old technology. Old processes. Same old results. 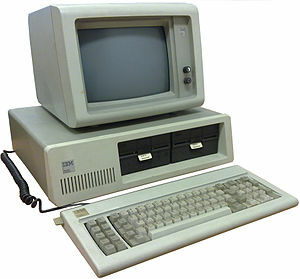 Computerized maintenance management systems (CMMS) have been around since the 1980’s. The modern CMMS (still based on traditional, reactive, paper work order processes) may now be delivered on the web, but otherwise the core functionality has remained unchanged for over 30 years. They require a lot of administration, as much as $25 per work order, and they don’t deliver great results. Over those same 30 years, digital technologies within the built environment have evolved too, from simple direct digital control (DDC), now to promises of Smart Building, using predictive analytics to operate buildings more efficiently. These emerging proactive operational processes, from Smart Building/IoT, are now completely out of alignment with reactive maintenance processes embedded in traditional CMMS. If you use a CMMS…any CMMS…you are doing too much administrative work and not getting the detailed equipment-level data you need to improve operational efficiency across your portfolio. Transitioning away from doing too much work should be an easy decision to make. Let me show you how we can help you to develop a proactive maintenance culture, that will ultimately eliminate work orders. Each eliminated work order is eliminated work, and isn’t that the very definition of operational efficiency? The BuiltSpace Service Platform will replace your current CMMS, reduce your “keyboard” time substantially, and give you real-time visibility to service interventions as they are completed. We directly connect your service team and preferred service providers to your buildings, and each to their own business processes, ensuring that they can maximize their own efficiency, and directly reduce your service costs. We transform the tenant and occupant “experience” too, replacing traditional web service requests with a mobile user experience that enables direct, moderated, interactions with your service teams and buildings. Imagine a future where tenants can self-serve many of the daily service requests you currently handle manually, with automated payment for temporary work-space and other billable services. Wouldn’t your life be better without work orders? If you are ready to transform your facilities operation and radically improve operational efficiency, let’s talk.